There’s a gorgeously eccentric shop in town which sells assorted hardware and houses an impressive and beautiful collection of old radios. The owner plays classical music which spills out onto the street, inviting passers by to enter (worked on me). 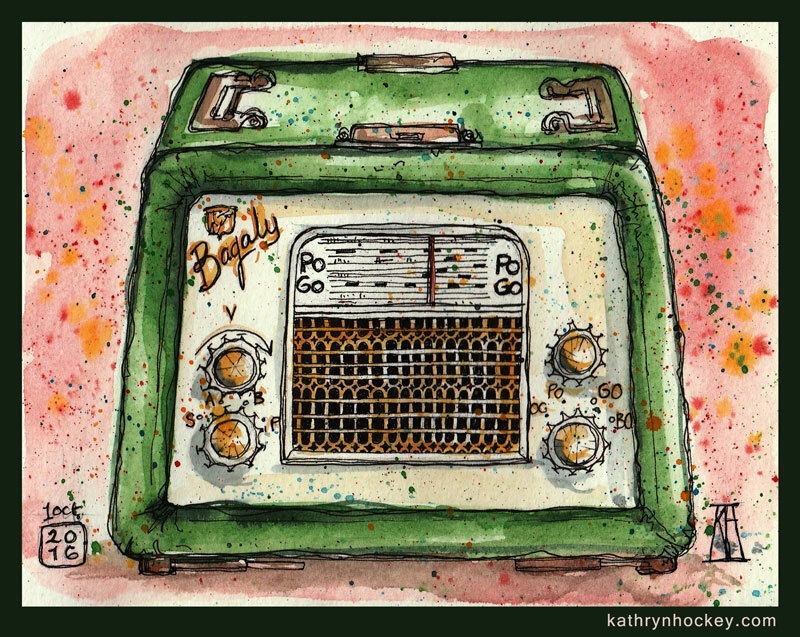 This entry was posted in sketches and tagged antique, bagaly, inktober, pen and wash, pen and watercolour, radio, retro, sketch, sketchbook, vintage, watercolor, watercolour by kathrynhockey. Bookmark the permalink.